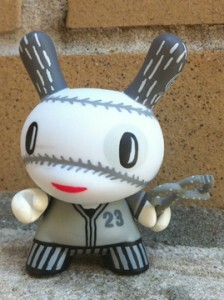 My New 2Tone Dunny is being released by Kidrobot in the next few weeks. It is awesome to be a part of such a great group of other Artists for the 2Tone series. Baseball season is almost over but hopefully this guy will keep you warm over the long winter.